The Core i7-8750H CPU in the Dell runs 25 percent faster than the same CPU in the Razer Blade 15. The thinner Razer system does not benefit from Intel Turbo Boost as much likely to keep surface temperatures and power consumption in check. Two laptops with identical processors and graphics don't necessarily have to perform the same. The system with the superior cooling solution can generally run the processor at faster clock rates than the other for slightly higher overall performance. The recent Alienware m15 and Razer Blade 15 gaming laptops exemplify this dichotomy best. 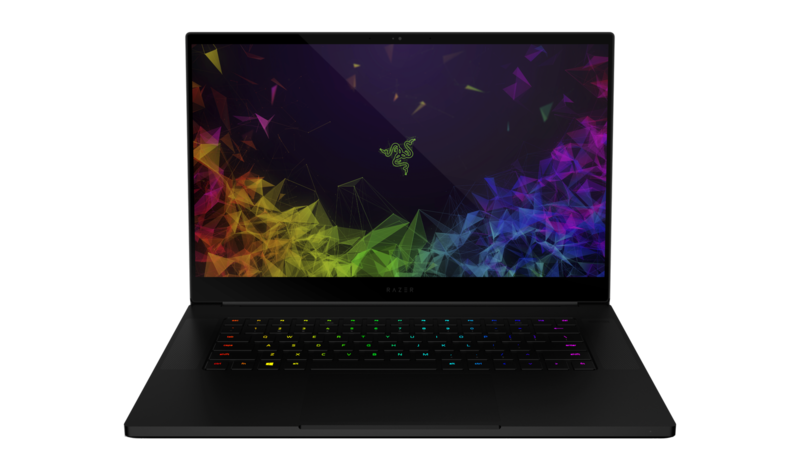 For our example here, we're comparing the aforementioned 15.6-inch Dell and Razer laptops each equipped with the same Core i7-8750H CPU and GeForce GTX 1070 Max-Q GPU. The processor in the Dell, however, is almost 25 percent faster in multi-threaded loads even after long periods of repeated CineBench stress as shown by our graph below. The CPU advantage carries over to PCMark 10 scores as well where the Dell system is consistently ahead of Razer. The wide performance difference can be explained by the slower CPU clock rates on the Razer. When subjected to high CPU stress, its processor stabilizes at just 2.8 GHz compared to 3.5 to 3.6 GHz on the Alienware laptop. Interestingly, CPU temperature is lower on the Razer at 65 C compared to 80 C on the Alienware when under similar conditions. This suggests that the Razer Blade 15 may be capable of closing in the performance gap between the two laptops albeit at the expense of warmer surface temperatures and components. We can only assume that Razer decided against higher Turbo Boost performance during its internal testing due to temperature and stability consequences in other areas of the laptop. GPU performance is otherwise very nearly the same between both laptops. Since most games are GPU bound rather than CPU bound, the slower processor in the Razer impacts gaming performance only marginally at worst. The Blade 15 still has two significant advantages over the Alienware m15. It's noticeably smaller in all three dimensions and its smooth unibody matte metal design contrasts the glossy non-unibody look of the Dell equivalent. Furthermore, Razer displays tend to be more color accurate out of the box to better appeal to artists or editors. See our full reviews on the Dell Alienware m15 and Razer Blade 15 below for more information and comparisons between these super-thin gaming laptops.